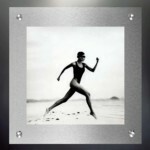 Commercial Grade Quality Acrylic with Exclusive Quick-Mount Features | Perfect for Art, Photography, Signage, & a Multitude of other Creative Image Display Solutions. 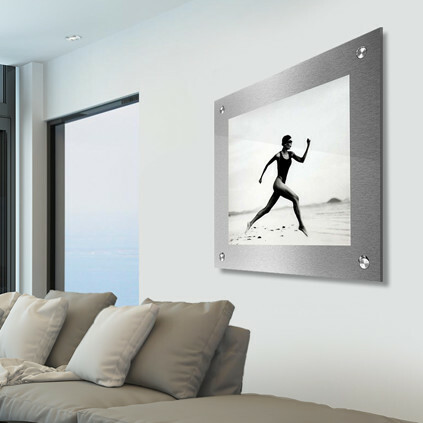 Showcase Your Images with a Sleek Brushed Metal Aesthetic | Futura Metal Wall Frames give a modern look and feel, creating the perfect backdrop for your image or signage. 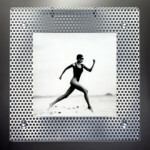 Industrial Perforated Metal Frames | ALUMA’s flagship product is based on a main structure of high-grade aluminum combined with contemporary materials and hardware. Customize Your Display & Signage Solutions | ALUMA’s custom configurator features Vetro Acrylic, Futura Metal, Achritek Perf. 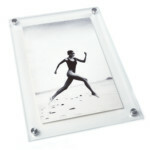 Metal & Infinity Acrylic Print product lines. See a few of the top brands that have used our modern display & signage products. ALUMA designs offers turn-key graphics and modern signage solutions for any size project. 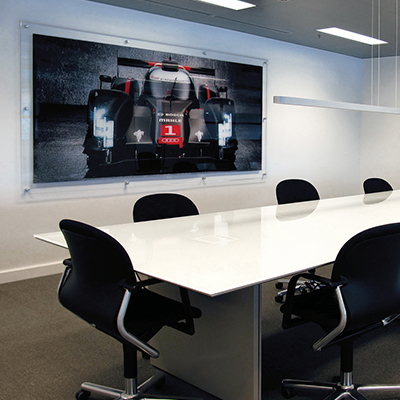 Our visual display and modern signage solutions are designed to complement the modern commercial, technology, aerospace, hospitality and residential environments. 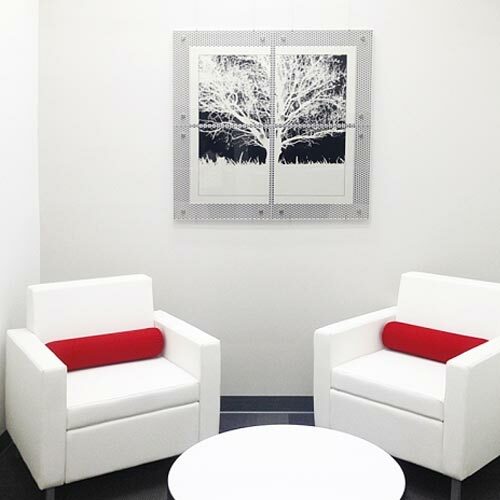 Whatever your modern design need our Custom Image Display Solutions, Modern Picture Frames, Architectural Panel Systems, ADA Signage, Graphics & Printing Services can help you to identify your brand. We can assist you with everything from a single modern acrylic Stand-Off picture frame to an entire custom branded retail display solution. 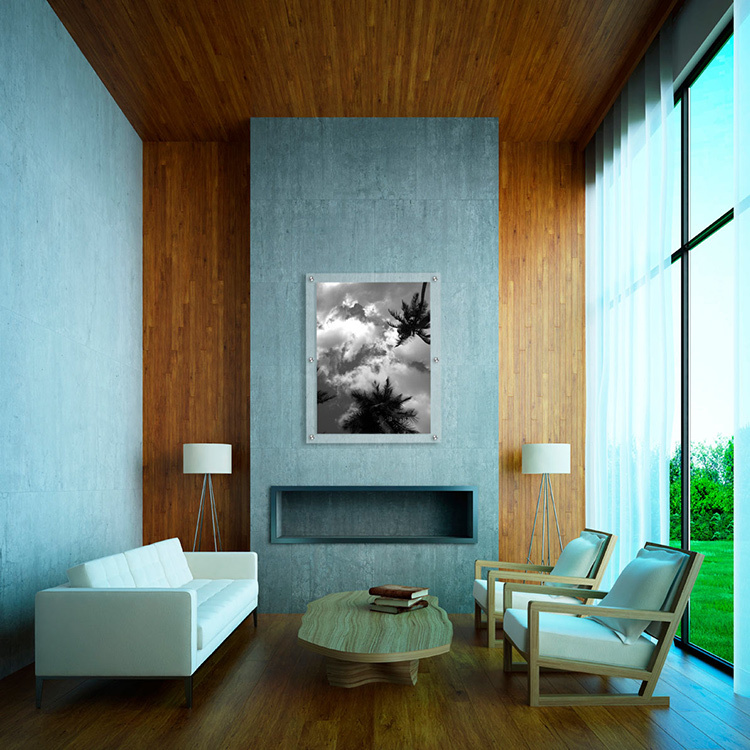 ALUMA’s online store has many unique modern art framing, modern signage and display products that will help your project stand-out from the rest. In house CNC fabrication and large format latex printing capabilities allow for limitless creative possibilities and make ALUMA designs the right choice for your modern graphics, signage and display needs. ALUMA designs has consistently and continuously provided the highest quality modern acrylic displays and signage solutions to our clients since 2003. Our in-house art/design team collectively represents over 50 years of art, design and fabrication experience. We specialize in successfully delivering high-tech modern image display & signage solutions to the commercial, healthcare and hospitality markets. 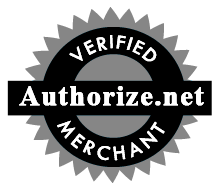 Our successful track record is built upon a combination of diligence, flexibility, and process, all of which provide a thorough understanding of our clients’ needs. 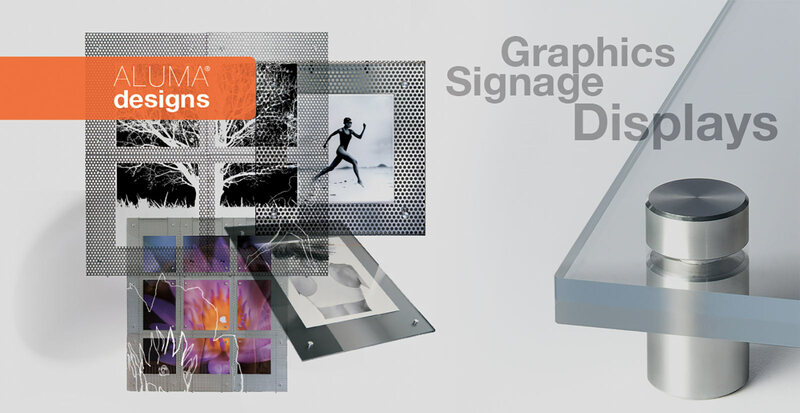 Our patented line of Architek modern display systems, Vetro modern acrylic picture frames coupled with our cutting edge UV printing services and competitive rates, combine to make ALUMA designs the right choice for all your graphics, image display and signage needs. From a single modern acrylic display to an entire building of ADA compliant room signage Aluma Designs has the solution for your project. Our dedication to providing your project with the highest quality modern acrylic displays and signage solutions is only surpassed by our desire for our clients total satisfaction.